Composer and violinist Tommy Dougherty (b. 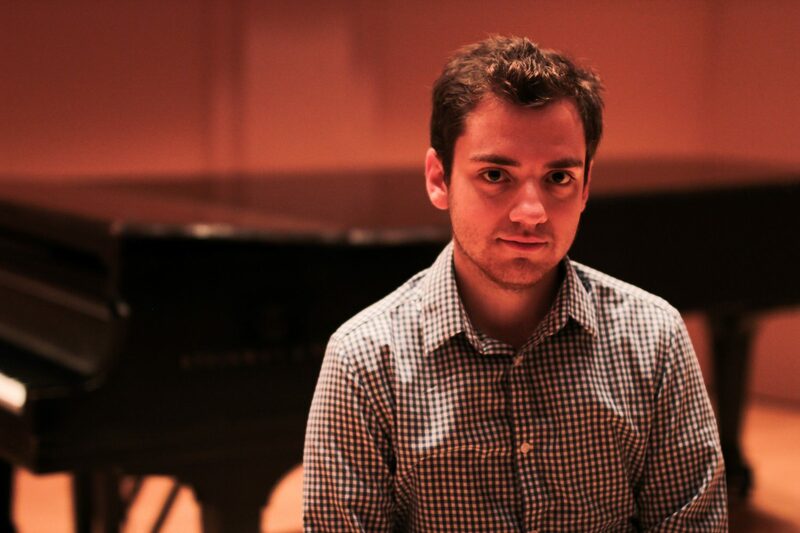 1990) is a native of Pittsburgh, Pennsylvania and is a composer of orchestral, chamber, and solo works. Over the past several years, Tommy’s music has been performed by the Modern Violin Ensemble (MoVE), Alarm Will Sound, the Aspen Contemporary Ensemble, Aspen Conducting Academy Orchestra, Kinetic: The Conductorless Ensemble, Thornton School Symphony Orchestra, Shepherd School Symphony Orchestra, and Eastman Philharmonia. In 2016 and 2017, Tommy was a recipient of two ASCAP Morton Gould Young Composers Awards. In 2018, the Modern Violin Ensemble (MoVE) premiered Extraordinary Instruments, a violin quartet that aims to bring awareness to issues of gun culture in the United States. For more information on this and other projects by MoVE, visit http://www.modernviolinensemble.com. As a violinist, Tommy currently serves as Acting Section Violin with the San Diego Symphony. He has also performed with the Pacific Symphony, Kaleidoscope Chamber Orchestra in Los Angeles, CA and Kinetic: The Conductorless Ensemble in Houston, TX. Tommy received his Master of Music degree in composition from the Shepherd School of Music at Rice University and his Bachelor’s degrees in both composition and violin performance from the Eastman School of Music. He is a DMA candidate in composition at the USC Thornton School of Music where he studied privately with Andrew Norman and Sean Friar.